I Love You More Than Carrots: I'm Thankful For My Readers - A Giveaway! 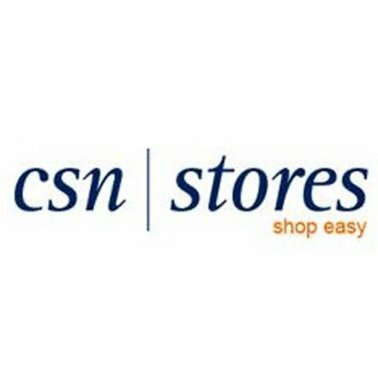 In the spirit of Thanksgiving, I've partnered with CSN stores to give away to you, one of my dear readers, a $45 gift certificate! I just love you all so much and am so thankful that you read my little corner of the blogosphere. 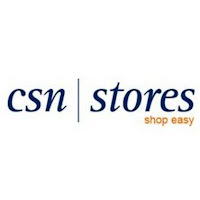 CSN Stores has over 250 specialized online stores where you can shop everything from sling backpacks, to Christmas decor, to exercise equipment and nursery furniture. They even cater to your four-legged furbabies and sell a vast array of pet beds and toys! Not to mention, they are always adding new specialty stores like Luxe by CSN Stores. Um, gorgeous handbags? Yes, please! 2. Post about this giveaway on your blog. Please leave me ONE comment letting me know that you're a follower and that you've blogged about the giveaway. Please include a valid email address in this comment so that if you're the fabulous winner, I will have a way of contacting you! 1. Leave me a comment telling me how adorable you think Baby C is and why he's your favorite baby in the whole entire world. 2. Visit any one of CSN Stores online stores and tell me what you would spend your $45 gift certificate on. 3. Tell me what you are most thankful for this Thanksgiving season. Do all of these things and you have FOUR chances to win this lovely little giveaway! This giveaway is open to both US and Canadian readership. This giveaway will end at 11pm Thanksgiving Day, Thursday the 25th, so please be sure to leave all of your comments by then. The winner will be chosen using random (dot) org and will be announced on Saturday the 27th. Happy Thanksgiving and thank you for reading I Love You More Than Carrots! I think baby C is awesome b/c the diaper head pictures are hilarious. I love CSN... so I am in! I follow, and so glad I do. I will add you to my giveaway page right now!! And of course Baby C is adorable... perhaps a baby modeling career ahead? I'm thinking yes. And if I won... I think I might get a panini maker. Or a margarita maker. If I won, I would use it toward an accent chair for our formal living room. Not sure which one, there are so many to choose from! I am most thankful for my beautiful amazing precious baby boy!! And of course I think baby Carter is the best (well, SECOND best) Carter in the world :) They would look precious beside each other in their "ski vests." And, on the CSN stores, I would love to buy C a power wheels jeep from the baby ride toys!!! I am a follower and your baby is by far the CUTEST baby in da world. Hey ! Im already a follower enter me. your baby C is awesome and his laugh is super cute! If i won i would get some toys for my baby A for christmas! well obviously I'm a follower... score! Baby C is beyond adorable....and the diaper head pic? Sooo cute! I would choose from one of the modern wall mirrors...I'm in the market for one, so it's perfect! I follow and I blogged! Baby C is so cute! I love that Charlie Brown photo! I'd get some new bakeware to get ready for Christmas! I'm most thankful for my friends and family, especially my husband!